Horray!! 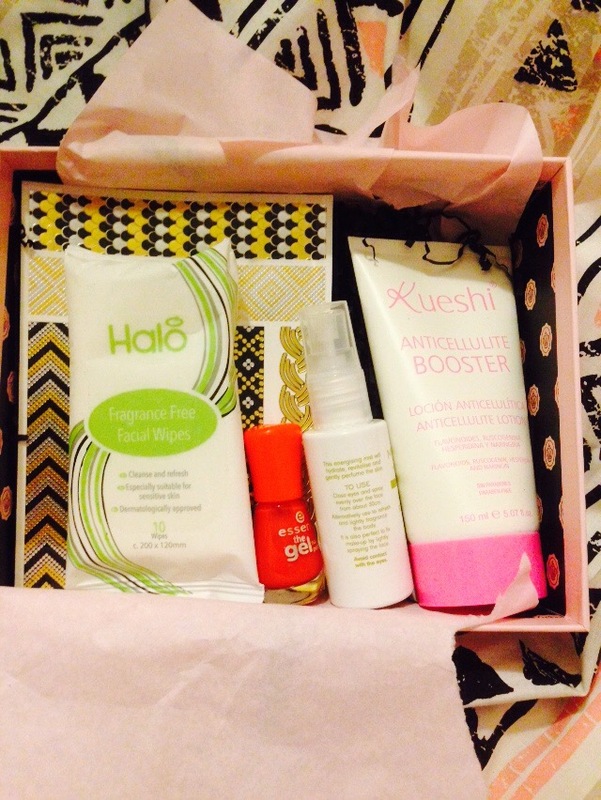 My first Glossybox came and I am super excited! 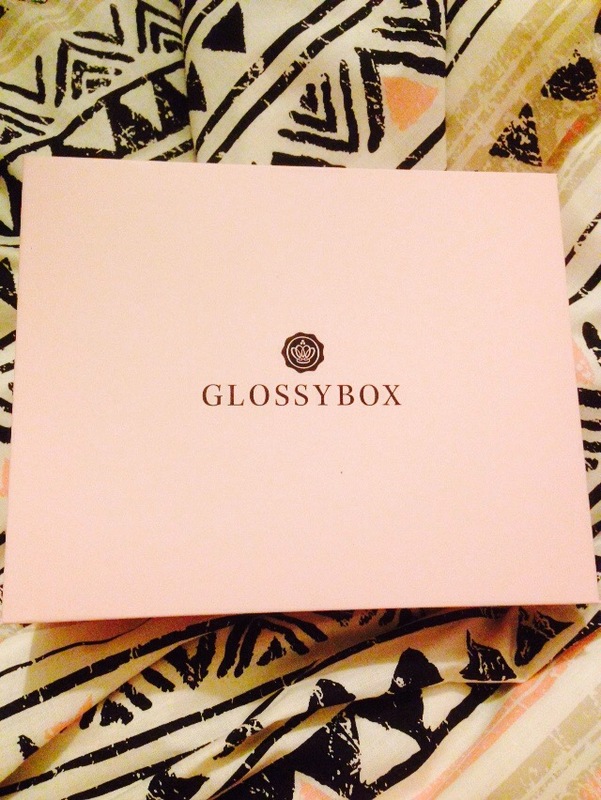 For those of you that don’t know, Glossybox is subscription beauty box where you receive 5 beauty items to try. These can sometimes be samples or full size items. The box, if brought monthly costs £10 a box plus postage. So this edit was The Festival Edit (great start!). I received 3 full sized items and 2 samples. I love the cute pink and black design of the box. It kind of reminds me of a box that you would recieve pretty underwear in? 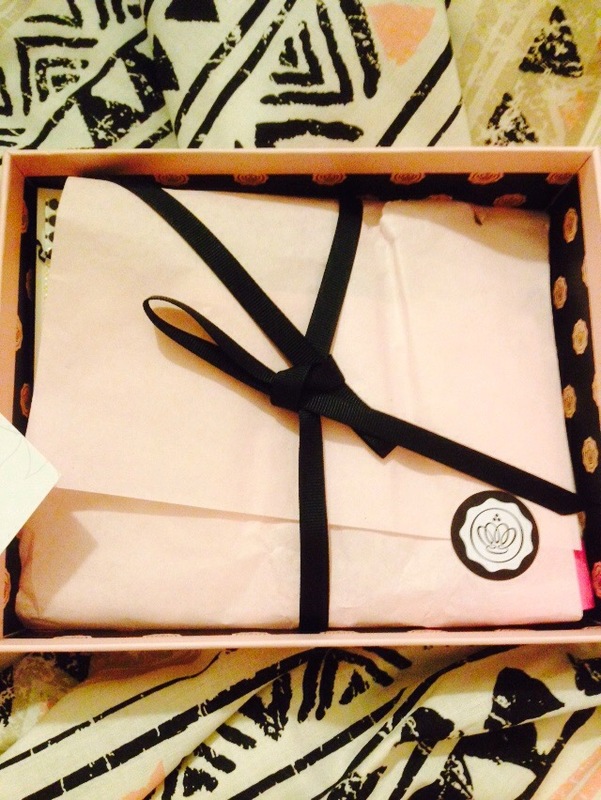 Like Boux Avenue or somewhere….but anyway, I’m a huge fan of the packaging! 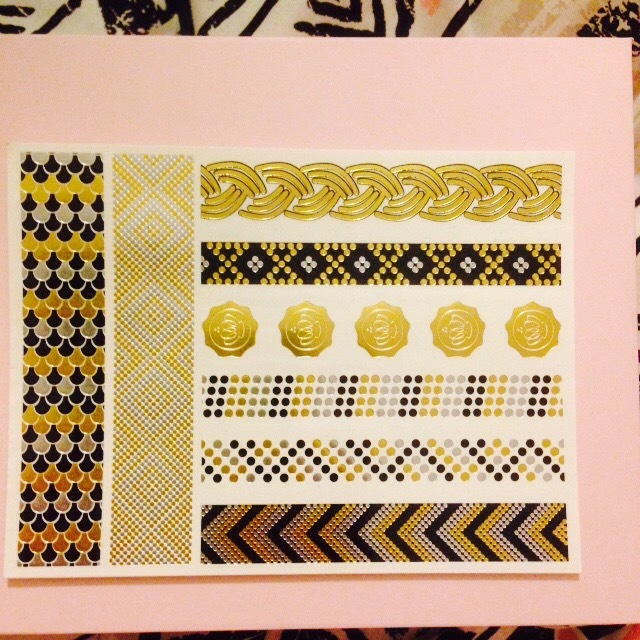 I am SO excited to use the flash tattoos as they are so in right now! 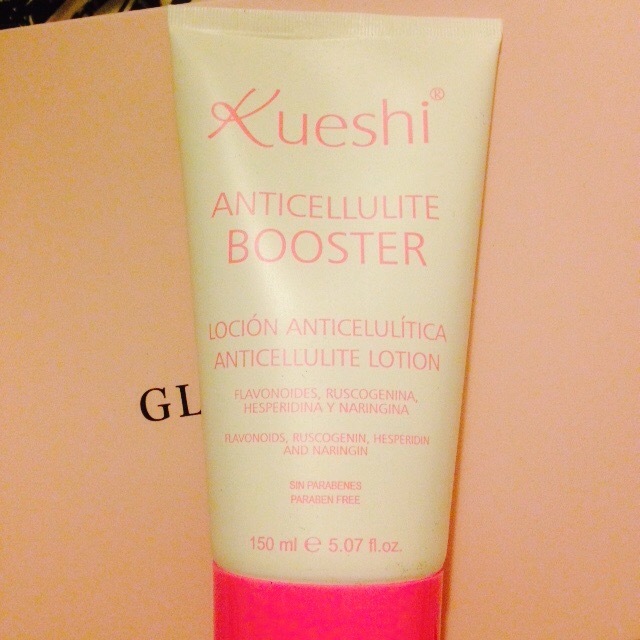 And also the Anticellulite cream as I’m going on holiday soon and want perfect, dimple free legs! 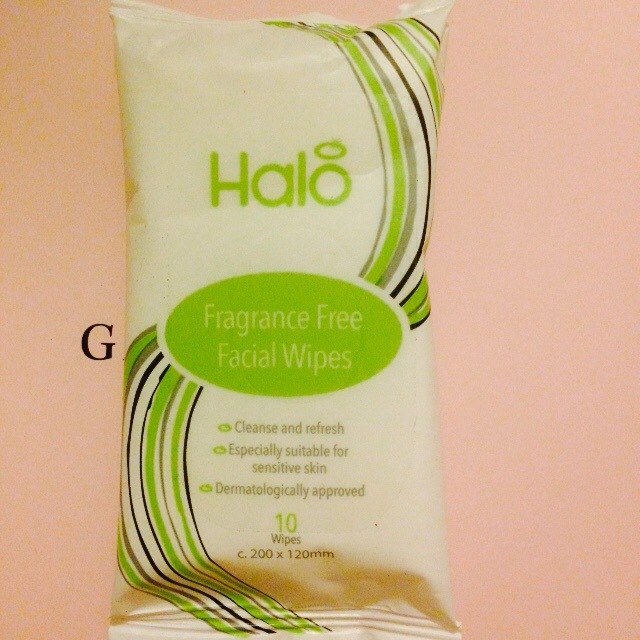 I don’t really use face wipes but I like that the Halo ones are scent free, I hate the feeling of synthetic wipes and perfumes on my face! 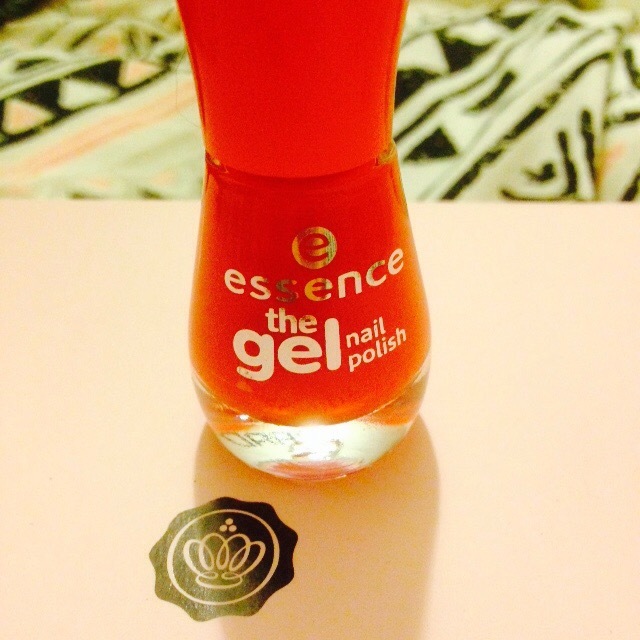 And I always have shellac on my finger nails so I’m thinking the gel polish will be great for my toes (I never have enough patience to do my fingers and toes with shellac!) and I’m loving the summery red/orange/coral colour! And I am really happy about tee face mist! 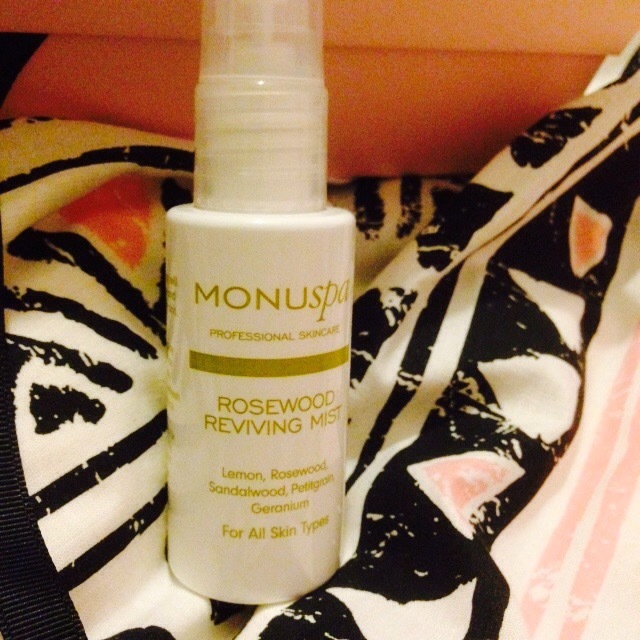 I have been looking for a face cooling and refreshing spray and this could be it fingers crossed!! 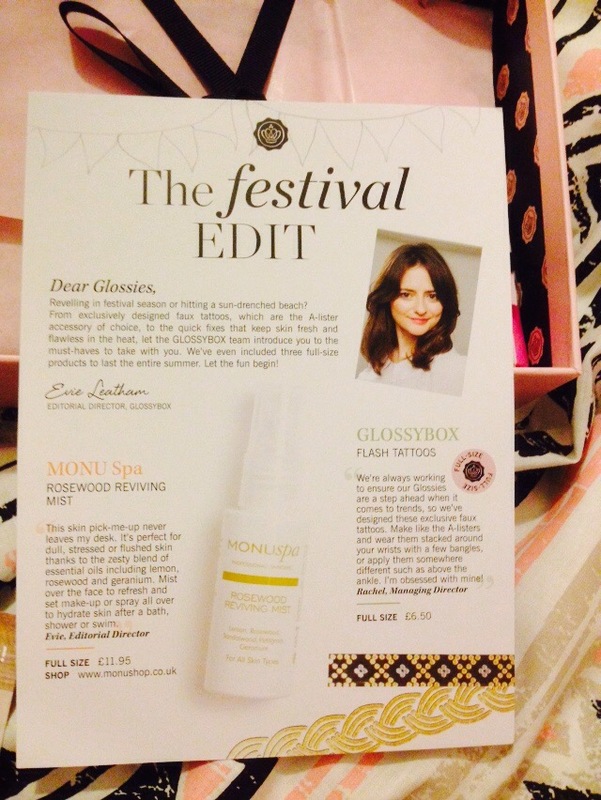 What is a GlossyBox?!?!?! I do Birchbox and Ipsy, but I’ve never heard of this one! I’ve been reading up on these beauty boxes and I’m intrigued, it’s a toss up on what products you get but there might be hidden diamonds in it itself and for the cost, it’s like woah. Do you think they semd them to asian countries too? You got some nice stuff! Im not subscribed to anything, but when I’m older I probably will subscribed to something! Any reccomendations? I don’t have any box subscriptions. I tried Wantables, but NO GO. So, now I live vicariously through everyone else unboxing their stuff. Now Glossybox also ships to Canada, I am so excited!